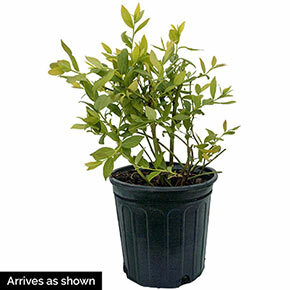 Very compact at a full height of 18–24" tall, this little blueberry bush is the ideal addition to a garden bed or patio pot. 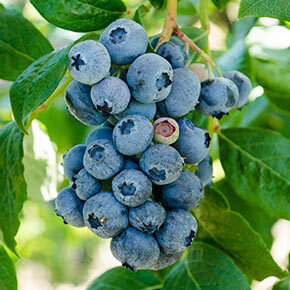 Once mature, it yields up to 7 lbs of fruit that tastes like wild blueberries. 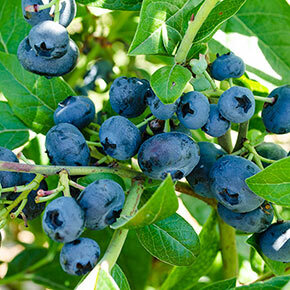 As the name suggests, it's good for northern zones, as this is a cold–hardy variety. 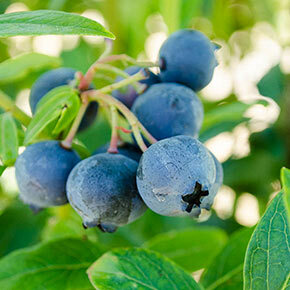 Northcountry Blueberry ships now, garden–ready in a gallon–sized pot. Watering Requirement: Water regularly when top 3" of soil is dry.